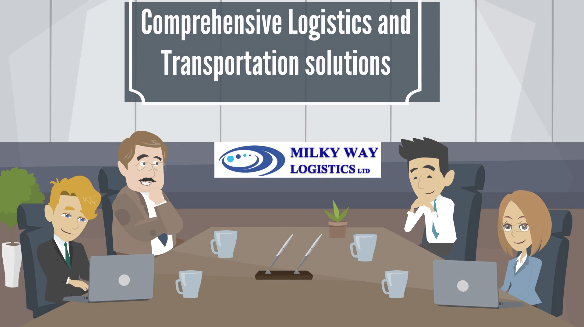 Among all expertise, Milky Way Logistics provides professional and bespoke solutions for all your door-to-door shipment enquiries from Riyadh, Saudi Arabia to London, UK. Door-to-door as it is self-explanatory, is the service that starts from the shipper’s door and ends by delivery at the consignee’s door. In our door-to-door service, the shipper or consignee do not need to be an expert in logistics and transportation as an expert can take care of the whole process as their agent. When moving goods, personal belonging or commercial goods globally, door to door shipment could be the most effective term in shipping as the freight forwarder takes care of the whole process from the shipper’s point up to the delivery point. Upon the completion of any agreement for moving goods, and appointment of a freight forwarder, the goods will be collected from the shipper’s point by the freight forwarder and those would be moved to the forwarder’s depot. Forwarder would be able to examine if the packing is appropriate for the chosen mode of transport. After controlling the packing requirements of International shipping, the forwarder will be able to book the transport option which could be booking space on a airplane or a space on a ship. The departure will be schedule and based on that the formalities and documentation and custom entry will be arranged for. In terms of formalities and custom rules, there are important rules set up by the government that should be considered in any imports to the UK. Documentation depending on the mode of transport could vary up to some extent but there are some documents also that are similar for different shipments. As an instance, the contract of carriage for shipping via air freight is the Airway Bill whereas for a sea freight shipping it is the Bill of Lading and for a road freight is a CMR which is the Consignment note that contains the terms and conditions of the shipping and transport liabilities. Milky Way Logistics recommends using proper packing for goods that are being shipped door to door from Riyadh to London considering the distance and mode of transport and handlings required. However, Standard packing of pallets and crates of certain height are accepted for airfreight and in addition, containerized goods are accepted for sea freight. For road haulage the preferred packing is pallets which are the best for handling, storage and shipping.